Milan is a city of charm, a city full of an abundance of luxurious fashion, business, art & cultivations. The city offers endless opportunities for those seeking an action-packed day of culture and adventure and all within short walking distances from each other. From shopping to sightseeing, there’s so much you can fit in, in such little time on a day visit! With only one day in one day in one incredible city, you’ll need to be strategic with your plans – so here’s a Wanderlisters Guide, to help make the most of your visit. 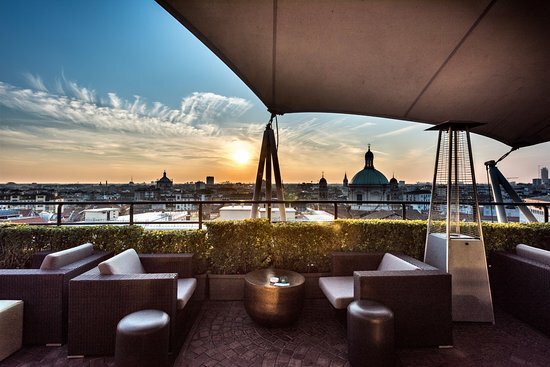 Arriving into Milan on an early morning flight, we dropped off our bags at the beautiful Hotel Dei Cavalieri. The Last Supper of Leonardo da Vinci is one of the most famous paintings in the world. The artwork was painted between 1494 – 1498 under the government of Ludovico il Moro and represents the last ‘dinner’ between Jesus and his disciples. 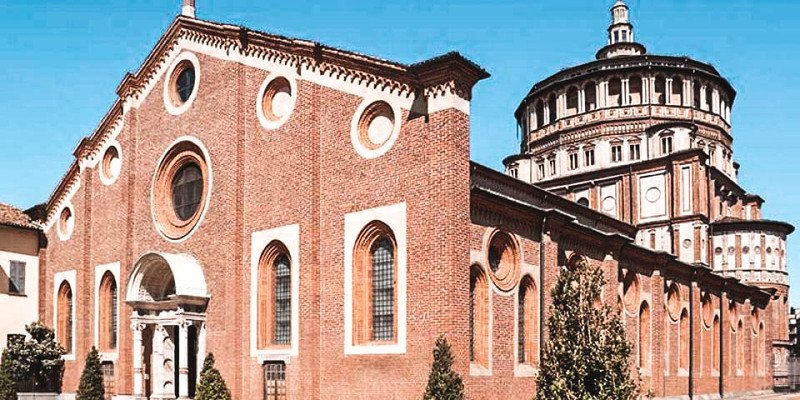 Leonardo’s Last Supper is located in its original place, on the wall of the dining room of the former Dominican convent of Santa Maria delle Grazie, exactly in the refectory of the convent and is one of the most celebrated and well-known artworks in the world. Remember to book online in advance, as several measures have now been implemented to protect the paint from deterioration, with only groups of 25 people allowed in at once, every 15 minutes. 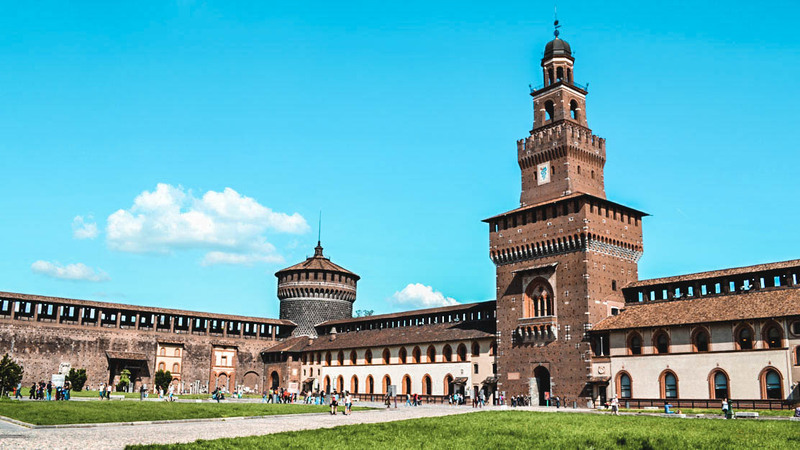 Built in the 15th Century by Francesco Sforza (ex-Duke of Milan), the Castello Sforza was once the largest citadels in Europe. Throughout its history, it has been demolished, conquered, rebuilt & restored, and is now home to numerous museums and exhibitions. Spend your afternoon wandering around the various measures and transport yourself back through medieval history. The beautiful parklands in which the Castello lies is a wonderful place to stroll around on a summers afternoon. Grab a yummy gelato and lay on the grass watching the world go by. Milan is fashion capital – so shopping in here is a no-brainer. Being an haute couture powerhouse, where fashion goes from the catwalk to clothes rail in a matter of days, a trip to Milan wouldn’t be complete without a shopping spree. Although, having the label of ‘fashion capital of the world’, it comes with a price tag- so maybe just stick to window shopping! By far the most famous thing to do in Milano! Sitting at the very heart of the city is the majestic Duomo Di Milano. Admire the intimacy of the architecture which took over six centuries, thousands of workers and tonnes of white marble to construct, which now makes the Duomo today, the fifth largest cathedral in the world. Inside is just as beautiful & impressive as the outside – if you have more time, take the audio guided tour around the Duomo, which is incredibly interesting and moving. Climb to the top to the Cathedrals terrace, where the rooftop boasts stunning views of the city. 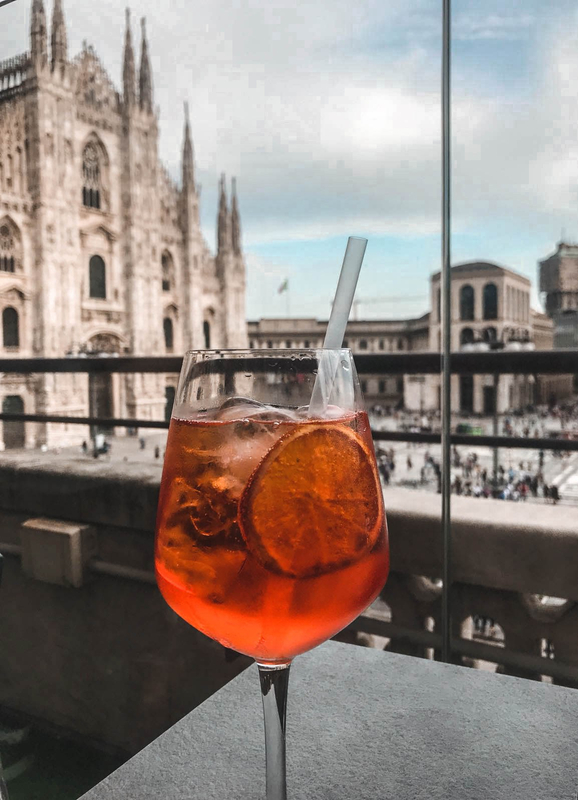 The rooftop terraces which overlook the Duomo square, are a great place to unwind and get a sundowner and enjoy the popular Italian tradition of apretivo. These terraces are the perfect spot to catch the late afternoon sun. Sit back, relax and watch the people below in the square, whilst soaking in the Milaneseanese atmosphere. 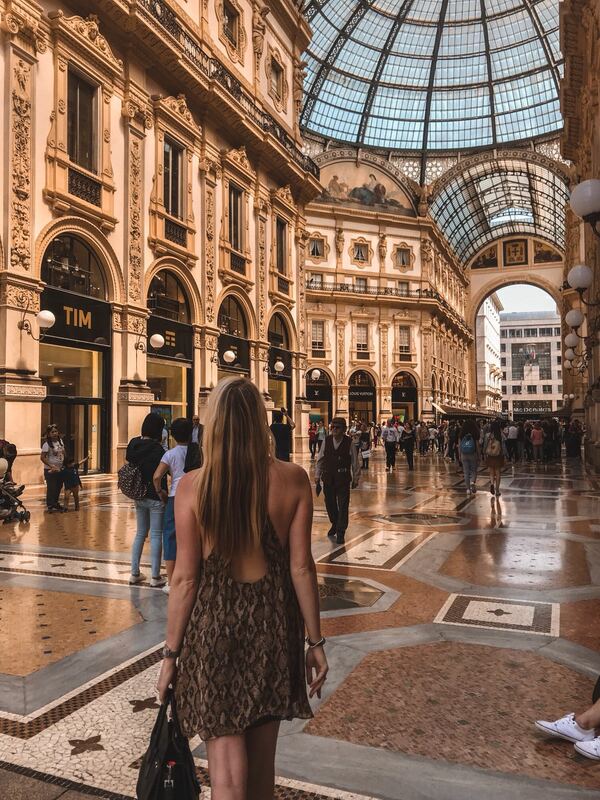 Just a few seconds walk from the Duomo square, you will find the Galleria Vittorio Emanuele. One of the worlds oldest shopping centres, the magnificent Galleria is must do for fashionistas. The Galleria houses numerous luxurious labels such as Louis Vuitton, Prada & Gucci, as well as fancy restaurants, and the poshest McDonalds I’ve ever seen! Have your dinner at the Galleria Restaurant, and do as the Milanese do, and enjoy a Veal Milanese! After dinner, head to the to the Leonardo3 – an exhibition where visitors can discover the world of Leonardo Da Vinci, both in his role as an artist and inventor. Situated right outside the Galleria on the side of Piazza Della Scala, the museum is an incredible experience, where you can see on display, working models of machines designed by Leonardo, such as his ‘submarine’, mechanical eagle, rapid-fire crossbow, as well as reconstructions of his musical instruments. My favourite was the augmented reality digital restoration of The Last Supper – it was amazing to be transported back into history and visit, what would have been a real-life scene of Leonardo’s painting. After a jam-packed day head to Palazzo Duomo to finish off your day with well deserved (and strong) nightcap. Take in the romantic sights and sounds of the street music with the magnificent backdrop of the cathedral. What I just loved about Milan, was that it reminded me of my favourite city in the world: Paris. The fashion, the culture, even the people – it’s all so fabulous! Like with any European city, pick pocking at popular sites will be rife, keep alert and always keep your belongings safe. If you are luckier than me, and have more time in this beautiful part of the world, head to over to Lake Como for a day trip.! Just one day in this wonderful city was bursting with vibrant culture, rich history, fantastic cuisine, moving artwork, awe-inspiring architecture, and shopping!